After entries have been received and the dates assigned by the tournament secretary are not refused by the team or individual entrant prior to preparation of the schedule, no fees shall be returned. Likewise, the conditions under which entries are accepted cannot be changed or modified after the tournament starts. This includes entry fee charges and the rules for governing the competition. All entrants will bowl in the order listed on the entry blank. All substitutions should be made 30 minutes prior to squad times. Due to automatic scoring, all subs will bowl in the positions of the person they are replacing. Bowling shall begin in accordance with the previously arranged schedule. Any player or team arriving late shall begin to play starting in the frame in which they arrive at their lanes ready to bowl, assuming zeros for any and all missed frames. There will be NO CATCH-up. If a team refuses to start because a full line-up is not present, they shall forfeit all games which they decline to start at the direction of the tournament management, based on the discretion of the tournament management. There are no provisions for blind or vacancy scores, and a bowler must bowl with and on the same lanes and at the same time his/her team bowls. This tournament and the teams and individuals competing herein must conduct and play all their games in strict compliance with the rules and regulations governing such games as adopted by USBC. All team captains and bowlers should acquaint themselves with USBC RULE 319-A RULE 18 “ALTERING SURFACE” – ALTERING THE SURFACE OF A BOWLING BALL BY USE OF ABRASIVES WHILE BOWLING IN SANCTIONED COMPETITION IS PROHIBITED. All bowling balls so altered must be removed from use. Saturdays at 1:P.M. & 4 P. M.
Sundays at 10 A.M. & 2 P.M. The tournament shall be conducted on a handicap basis. The handicap shall be 90 of the difference between the bowlers average and 230. Each individual bowler shall be responsible for the correctness of his/her average listed on this entry form. All bowlers must use their highest yearbook (21 games or more) average from the 2017·2018 season. If a bowler has no 2017-2018 yearbook average, they may use the current highest 21 games sanctioned average, as of March 2, 2019. ALL BOWLERS MUST BE ABLE TO HAVE THEIR AVERAGE VERIFIED BY THEIR BOWLING ASSOCIATION OFFICER. ALL BOWLERS USING ANY AVERAGE OTHER THAN THE 2017-18 YEARBOOK AVERAGE MUST SEND VERIFICATION ALONG WITH THE ENTRY, INCLUDING LOCAL ASSOCIATION NAME. If no established USBC Average, averages will be assigned as follows: Male bowlers will use a 170 average, 70 yrs + -150, Female bowlers will use a 140 average. IF THE AGE OF THE BOWLERS IS NOT LISTED ON THE ENTRY – THE HIGHEST AVERAGE WILL BE USED. 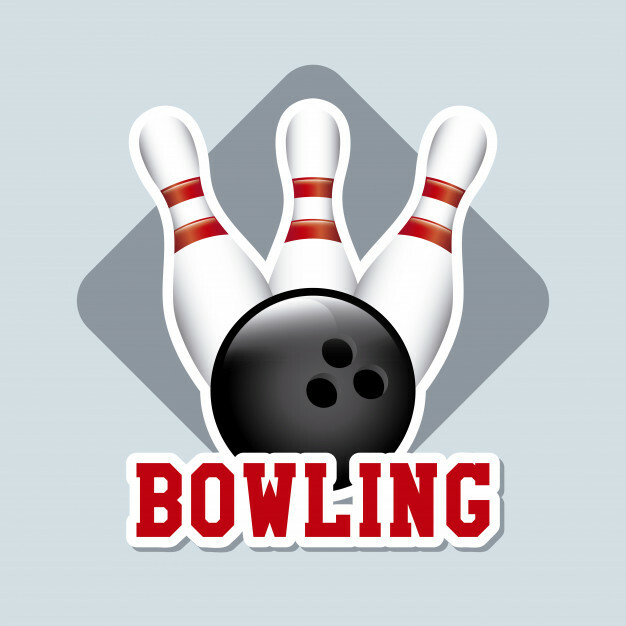 CAPTAINS will inform their bowlers about USBC 319A(2), pertaining to the 10 pins or more increase in average and Rule 319-D pertaining to reporting of tournaments prize winnings. THESE RULES ARE APPLICABLE AS OF THE TIME OF BOWLING. If there is an average adjustment needed, please notify the tournament officials upon arrival or any time up until the end of the entrants first game of tournament competition. IMPORTANT: IN ALL CASES, it shall be each bowlers responsibility to verify the accuracy of the reported average. If the submitted average is lower than the actual average, the bowler’s scores will be disqualified. If the entering average is reported higher than that of the actual average, standings and prize winnings will be based on the highest average. ALL BOWLERS WHO MEET THE CRITERIA OF USBC RULE 319-E WILL BE REQUIRED TO ADJUST HIS/HER AVERAGE ACCORDINGLY.